BULLHEAD CITY–A local woman has been arrested Thursday after she allegedly set fire to her daughters home, killing two dogs inside. 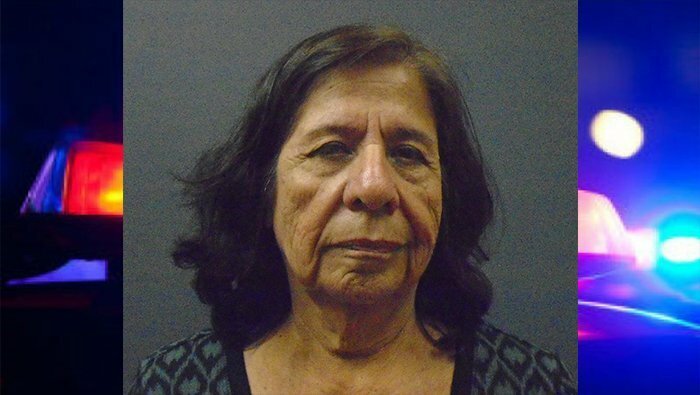 Ofelia Gray, 72, faces charges of arson of an occupied structure, criminal damage and animal cruelty. Bullhead City Police spokeswoman Emily Fromelt said the fire was reported shortly before 11 a.m in the 300 block of Anna Circle. Firefighters with Bullhead City Fire arrived and found Gray outside the burning structure unharmed and with her bags packed. Fromelt said Gray reportedly told police that she set fire to a phone book on the stove, then placed it on the couch. Gray said she was angry with her family and wanted to go back to California. She had reportedly been living with her daughter in the residence for several months. Gray’s daughter was not home at the time of the fire, said Fromelt. A neighboring apartment was not damaged and the occupant was uninjured during the fire incident. Gray will be taken to the Mohave County jail in Kingman.